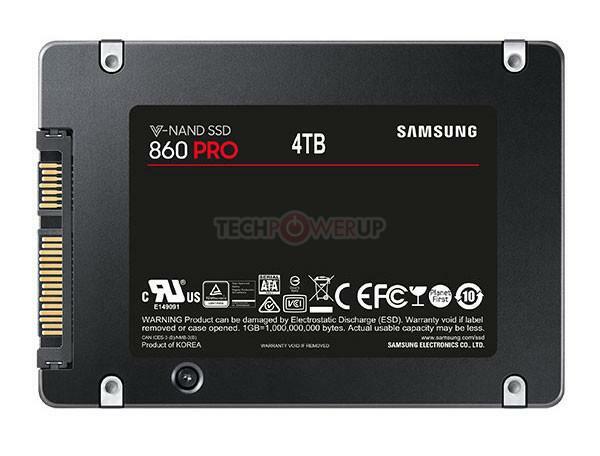 Samsung 860 PRO & EVO SSD's In The Wings? Samsung has two consumers SSD series on their way in the not too distant future, at least if accidental listings on their website are anything to go by. This week details of unreleased SSD series' - the 860 Pro and 860 EVO - were both published on the official site before being hastily withdrawn, igniting hopes of 2018 updates to for their mainstream SSD range. 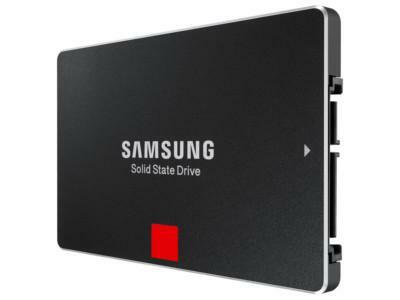 First up, the Samsung 860 Pro was revealed in its capacious 4TB form, a new size for their mainstream SSD range. According to TPU the drive, which was listed with a MSRP of $1,899, utilised a standard SATA III interface and was capable of read/write speeds of 560 MB/s and 530 MB/s respectively. Given that it appears to remain within a trim 2.5" form factor its main selling point in the SSD space is clear the storage density. Later in the week more comprehensive details of the 860 EVO series emerged. This range will apparently arrive in 2.5" SATA, mSATA and M.2 form factors, but will all utilise SATA III signalling. As a result their performance will likely cap out at 550MB/s read and 520MB/s write as well as 4k random r/w performance at ~97k IOPS and ~88k IOPS, figures quoted for the entirety of the range. The range is expected to use Samsung's 10nm 3D VNAND chips. Drives in the 2.5" form factor will range from 250GB to 4TB, M.2 will arrive as 500GB / 1TB / 2TB, and mSATA will be limited to 250GB / 500GB / 1TB capacities thanks to its compact size. No information on pricing was gleaned in this leak. We expect that an announcement from Samsung is imminent, likely focussing on these consumer models rather than a new generation of enthusiast NVMe SSDs.